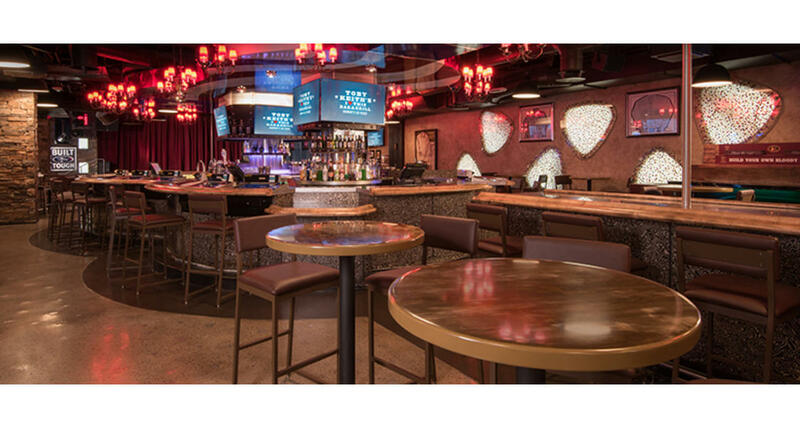 Named after Toby's hit single "I Love This Bar, " this exciting venue has it all - full restaurant & bar, music videos, recording studio and a stage area with live bands! Enjoy the vast array of Toby Keith merchandise, including t-shirts, cups, guitars, memorabilia, albums, DVDs, to name a few. Live Country and Southern Rock type bands perform nightly from 9pm - 2am. (9pm - 3am Fri & Sat) Come check out the real "down-home" atmosphere. And keep your eyes open because you could meet the man himself during one of his surprise appearances. Get ready to party, Toby Keith style!